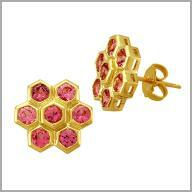 14k yellow gold honeycomb pink sapphires earrings. 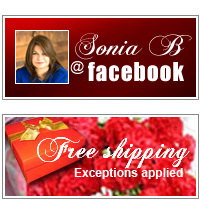 These beloved beauties are sure to offer your the look and color you have been searching for! Crafted in your choice of polished 14K yellow gold, these honeycomb earrings each features 7 round 3mm pink sapphires in bezel setting. The total sapphire weight is approximately 1.8200ct . They measure 1/2" x 1/8"H and have posts with butterfly backs.